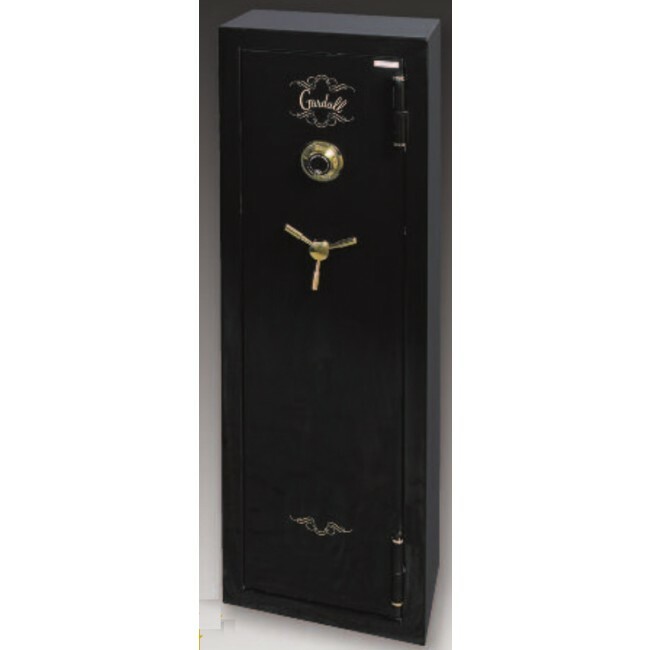 Please contacdt us if you need indoor delivery on this 200 lb safe please call 877-442-9964 or email customer service cs@thesafestores.com. There is an extra charge. This is an economical and sturdy safe for the firearms owner with a small collection. The GF5517 can store up to 11 long guns and has 25 minute fire protection. Some gun owners chose to install this gun safe in a closet and fasten it down with the four anchoring bolts included. It comes with a three wheel mechanical lock and burglary proof handle. 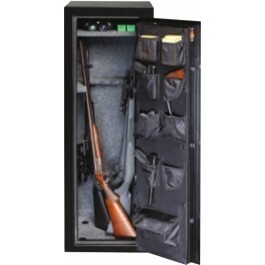 Black powder coat paint is standard on this gun safe. 55 1/2" x 17 3/4" x 16"